M.A.P are excited to announce the opening of Hanna Moon & Joyce Ng: English as a Second Language at Somerset House, London, a photography exhibition showcasing the work of two of the most exciting photographers working in fashion today, celebrating the vitality and importance of fresh perspectives within fashion photography in our globalised and interconnected world. 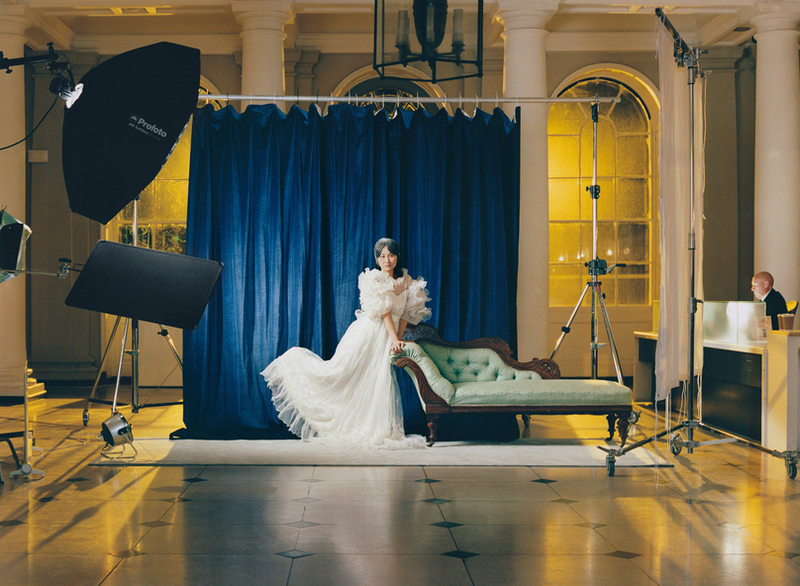 From the press release: ‘English as a Second Language sees acclaimed Asian-born, London-based photographers Moon and Ng, responding directly to Somerset House’s historical setting with a new series of works commissioned by Somerset House. Employing an otherworldly and playful approach to their practice, they will incorporate visitors, cultural icons, fashion and their own cultural signifiers to present their unique take on Western aesthetics and fashion ideals. Curated by Shonagh Marshall, the exhibition explores the artists’ feelings of being ‘lost in translation’, a feeling which as immigrants based here in the UK, informs Moon and Ng’s search for capturing beauty in the often overlooked and unseen narratives in our everyday lives. As two pioneering fashion photographers operating within the Western fashion system bringing distinct Asian perspectives to their work, the exhibition challenges the concept of ‘otherness’. The images will invite viewers to question what it means for artists to be labelled as ‘diverse’ when using models, props and locations native to their heritage, and to reflect upon the power fashion photography holds in shifting our perceptions of beauty, style and taste.